“Khalid Sheikh Mohammed Fast Facts,” CNN, last modified December 22, 2016, http://www.cnn.com/2013/02/03/world/meast/khalid-sheikh-mohammed-fast-facts/. Baluchi was born in al-Ahmadi, Kuwait.“The Guantanamo Docket: Abd al Aziz Ali: JFT – GTMO Assessment,” New York Times, accessed August 10, 2017, 1, https://www.nytimes.com/interactive/projects/guantanamo/detainees/10018-abd-al-aziz-ali/. According to the U.S. Department of Defense’s Joint Task Force Guantanamo (JTF), he left the country in 1985 or 1986 to make the Hajj to Saudi Arabia. In 1988, Baluchi moved with his family to Iran, where he attended boarding school. He traveled to Karachi, Pakistan between 1996 and 1998, where he took courses at computer institutes there, attained a Microsoft certification online, and eventually graduated from his program.“The Guantanamo Docket: Abd al Aziz Ali: JFT – GTMO Assessment,” New York Times, accessed August 10, 2017, 2, https://www.nytimes.com/interactive/projects/guantanamo/detainees/10018-abd-al-aziz-ali/. At some point while in Pakistan, he became interested in waging violent jihad, and expressed interest in attending a training camp. Ultimately unable to fit militant training in along with his studies, Baluchi instead offered his services to his uncle, KSM. He would later report that he was inspired to jihad by Ramzi Yousef, the 1993 World Trade Center bomber and another nephew of KSM, among others.“The Guantanamo Docket: Abd al Aziz Ali: JFT – GTMO Assessment,” New York Times, accessed August 10, 2017, 2-3, https://www.nytimes.com/interactive/projects/guantanamo/detainees/10018-abd-al-aziz-ali/. In August 1998, at his father’s suggestion, he traveled to the United Arab Emirates to search for employment.“The Guantanamo Docket: Abd al Aziz Ali: JFT – GTMO Assessment,” New York Times, accessed August 10, 2017, 2, https://www.nytimes.com/interactive/projects/guantanamo/detainees/10018-abd-al-aziz-ali/. He ultimately became employed by the Modern Electronics Corporation there.“The Guantanamo Docket: Abd al Aziz Ali: Combatant Status Review Tribunal Transcripts for High Value Detainees,” New York Times, accessed August 10, 2017, 10, https://www.nytimes.com/interactive/projects/guantanamo/detainees/10018-abd-al-aziz-ali/. Baluchi began his role in facilitating the 9/11 plot at the end of 1999, when KSM requested that he transfer funds to 9/11 hijacker Nawaf al-Hazmi in the United States. From his location in the United Arab Emirates, he would go on to help facilitate the activities of thirteen hijackers, providing support that enabled their travel, visa acquisition, and finances.“The Guantanamo Docket: Abd al Aziz Ali: JFT – GTMO Assessment,” New York Times, accessed August 10, 2017, 3, https://www.nytimes.com/interactive/projects/guantanamo/detainees/10018-abd-al-aziz-ali/. In January 2000, as the hijackers were beginning to research flight training, Baluchi used United Airlines Flight 175 hijacker-pilot Marwan al-Shehhi’s credit card to order a Boeing flight simulator program and flight deck video.National Commission on Terrorist Attacks upon the United States, Thomas H. Kean, and Lee Hamilton. 2004. The 9/11 Commission report: final report of the National Commission on Terrorist Attacks upon the United States. (Washington, D.C.): 168, http://govinfo.library.unt.edu/911/report/911Report.pdf. Baluchi wired $5,000 to Hazmi in April of 2000, and a total of $114,500 to the hijacker-pilots training in the United States during the summer of 2000.National Commission on Terrorist Attacks upon the United States, Thomas H. Kean, and Lee Hamilton. 2004. The 9/11 Commission report: final report of the National Commission on Terrorist Attacks upon the United States. (Washington, D.C.): 220, 224, http://govinfo.library.unt.edu/911/report/911Report.pdf. The 9/11 Commission remarks that these transactions were “essentially invisible amid the billions of dollars flowing daily across the globe.”National Commission on Terrorist Attacks upon the United States, Thomas H. Kean, and Lee Hamilton. 2004. The 9/11 Commission report: final report of the National Commission on Terrorist Attacks upon the United States. (Washington, D.C.): 224, http://govinfo.library.unt.edu/911/report/911Report.pdf. In addition to wiring funds, Baluchi also served to transmit telephone messages to the operatives in the United States.National Commission on Terrorist Attacks upon the United States, Thomas H. Kean, and Lee Hamilton. 2004. The 9/11 Commission report: final report of the National Commission on Terrorist Attacks upon the United States. (Washington, D.C.): 518, http://govinfo.library.unt.edu/911/report/911Report.pdf. 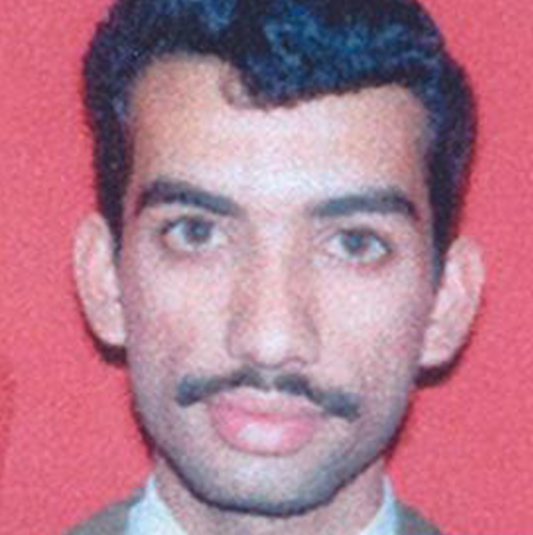 Mohamed Atta, American Airlines Flight 11 hijacker-pilot and operational leader of the 9/11 attacks, made sixteen calls to Baluchi’s UAE phone number in the span of two days in June 2000.“The Guantanamo Docket: Abd al Aziz Ali: Combatant Status Review Tribunal Transcripts for High Value Detainees,” New York Times, accessed August 10, 2017, 6, https://www.nytimes.com/interactive/projects/guantanamo/detainees/10018-abd-al-aziz-ali/. Baluchi also met with some of the hijackers to provide assistance in person. On June 20, 2000, he met the fourth hijacker-pilot, Hani Hanjour, in Dubai, where he opened a bank account for him and provided him with funds for his trip to the United States.National Commission on Terrorist Attacks upon the United States, Thomas H. Kean, and Lee Hamilton. 2004. The 9/11 Commission report: final report of the National Commission on Terrorist Attacks upon the United States. (Washington, D.C.): 226, http://govinfo.library.unt.edu/911/report/911Report.pdf. Between April and June of 2001, he provided assistance to nine of the 9/11 muscle hijackers in Dubai before they departed for the United States. He helped them acquire plane tickets and travelers’ checks, make hotel reservations, and taught them how to purchase clothes, order food, and go about their everyday life in the West.National Commission on Terrorist Attacks upon the United States, Thomas H. Kean, and Lee Hamilton. 2004. The 9/11 Commission report: final report of the National Commission on Terrorist Attacks upon the United States. (Washington, D.C.): 236, http://govinfo.library.unt.edu/911/report/911Report.pdf. He even helped muscle hijacker Ahmed al Ghamdi acquire a mobile phone account that the hijackers could use as a number for contact.National Commission on Terrorist Attacks upon the United States, Thomas H. Kean, and Lee Hamilton. 2004. The 9/11 Commission report: final report of the National Commission on Terrorist Attacks upon the United States. (Washington, D.C.): 527, http://govinfo.library.unt.edu/911/report/911Report.pdf. The 9/11 Commission reports that Baluchi did not know the details of the 9/11 attacks at this time, only that he was aware that a large operation would be taking place in the United States.National Commission on Terrorist Attacks upon the United States, Thomas H. Kean, and Lee Hamilton. 2004. The 9/11 Commission report: final report of the National Commission on Terrorist Attacks upon the United States. (Washington, D.C.): 236, http://govinfo.library.unt.edu/911/report/911Report.pdf. In May 2001, ager to play a larger role, he offered to travel to the United States to provide further assistance there and even asked KSM to participate in a suicide mission himself. He also expressed a similar desire to Atta, asking him to join the operation. Baluchi even applied for a U.S. visa on August 27, 2001, but was denied.National Commission on Terrorist Attacks upon the United States, Thomas H. Kean, and Lee Hamilton. 2004. The 9/11 Commission report: final report of the National Commission on Terrorist Attacks upon the United States. (Washington, D.C.): 527, http://govinfo.library.unt.edu/911/report/911Report.pdf. On September 8, Baluchi met 9/11 facilitator Ramzi bin al-Shibh in Dubai. The two traveled together to Pakistan. KSM picked them up in Karachi on the morning of September 11. They celebrated upon seeing the 9/11 attacks on the news.“The Guantanamo Docket: Ramzi Bin al Shibh: JFT – GTMO Assessment,” New York Times, accessed August 10, 2017, 7, https://www.nytimes.com/interactive/projects/guantanamo/detainees/10018-abd-al-aziz-ali/. Terrence McCoy, “‘Lady al-Qaeda’: The American-educated PhD the Islamic State desperately wants freed,” Newsweek, August 28, 2014, https://www.washingtonpost.com/news/morning-mix/wp/2014/08/28/lady-al-qaeda-the-american-educated-doctor-the-islamic-state-desperately-wants-freed/. On April 30, 2003, Baluchi was captured by Pakistani authorities.“The Guantanamo Docket: Abd al Aziz Ali: JFT – GTMO Assessment,” New York Times, accessed August 10, 2017, 4, https://www.nytimes.com/interactive/projects/guantanamo/detainees/10018-abd-al-aziz-ali/. Upon his arrest, he was found to possess a letter addressed to Osama bin Laden.“The Guantanamo Docket: Abd al Aziz Ali: Combatant Status Review Tribunal Transcripts for High Value Detainees,” New York Times, accessed August 10, 2017, 7, https://www.nytimes.com/interactive/projects/guantanamo/detainees/10018-abd-al-aziz-ali/. He was transferred to U.S. custody a week later and taken into CIA detention in undisclosed locations—reportedly near Kabul and in Romania—for further interrogation.Greg Miller, Adam Goldman, and Ellen Nakashima, “CIA misled on interrogation program, Senate report says,” Washington Post, March 31, 2014, https://www.washingtonpost.com/world/national-security/cia-misled-on-interrogation-program-senate-report-says/2014/03/31/eb75a82a-b8dd-11e3-96ae-f2c36d2b1245_story.html?utm_term=.7447775af634. On September 6, 2006, then U.S. president George Bush publicly acknowledged that Baluchi had been transferred to Guantanamo two days prior.“14 terror suspects profiled,” CNN, September 7, 2006, http://www.cnn.com/2006/POLITICS/09/06/terrorr.detainees/. That December, the U.S. Department of Defense Joint Task Force Guantanamo (JTF) concluded that Baluchi posed a high risk and was of high intelligence value.“The Guantanamo Docket: Abd al Aziz Ali: JFT – GTMO Assessment,” New York Times, accessed August 10, 2017, 2, https://www.nytimes.com/interactive/projects/guantanamo/detainees/10018-abd-al-aziz-ali/. During a military tribunal hearing at Guantanamo in March 2007, he denied his connections with al-Qaeda, arguing that others were able to use his “personal information and signature to accomplish business in the Middle East…without [his] knowledge.” While he admitted that he dealt with hijacker-pilot Marwan al Shehhi, he argued that he only perceived him as a fellow businessman and never understood his role as hijacker.“The Guantanamo Docket: Abd al Aziz Ali: Combatant Status Review Tribunal Transcripts for High Value Detainees,” New York Times, accessed August 10, 2017, 16-17, https://www.nytimes.com/interactive/projects/guantanamo/detainees/10018-abd-al-aziz-ali/. Nonetheless, in February 2008, a military commission indicted Baluchi and four fellow Guantanamo detainees on capital murder charges related to the 9/11 attacks. The U.S. government also announced that it would seek the death penalty against the defendants.“Khalid Sheikh Mohammed Fast Facts,” CNN, last modified December 22, 2016, http://www.cnn.com/2013/02/03/world/meast/khalid-sheikh-mohammed-fast-facts/. Between 2009 and 2012, however, the status of Baluchi’s trial fluctuated as U.S. authorities requested freezes and delays in the proceedings. In November 2009, the U.S. Justice Department announced that the trial would be transferred to a New York court room. That decision was reversed in April 2011 when Attorney General Eric Holder said that the trial would be re-transferred to Guantanamo. The capital charges were re-filed against Baluchi and his four co-defendants that May. They included conspiracy, murder in violation of the law of war, attacking civilians, attacking civilian objects, intentionally causing serious bodily injury, destruction of property in violation of the law of war, hijacking an aircraft, and terrorism. The detainees appeared in public for the first time during their arraignment at Guantanamo in May 2012. However, during the proceedings, the detainees largely refused to cooperate.“Khalid Sheikh Mohammed Fast Facts,” CNN, last modified December 22, 2016, http://www.cnn.com/2013/02/03/world/meast/khalid-sheikh-mohammed-fast-facts/. In 2014, the U.S. Senate Intelligence Committee revealed that Baluchi had been subjected to various torture techniques.“The Senate Committee’s Report on the C.I.A.’s Use of Torture,” New York Times, December 9, 2014, https://www.nytimes.com/interactive/2014/12/09/world/cia-torture-report-document.html. A few months later, Baluchi’s lawyers requested that the court review evidence of his alleged torture while in CIA custody, delaying the trial.“9/11 trial dealt blow as defendant asks for alleged CIA torture records,” Guardian (London), June 30, 2014, https://www.theguardian.com/world/2014/jul/01/911-trial-blow-defendant-cia-torture-records. The proceedings have continued to face various delays.Carol Rosenberg, “Guantanamo judge formally restores five-man 9/11 trial,” Miami Herald, December 4, 2015, http://www.miamiherald.com/news/nation-world/world/americas/guantanamo/article48035305.html. Abd al Aziz Ali“The Guantanamo Docket: Abd al Aziz Ali: JFT – GTMO Assessment,” New York Times, accessed August 10, 2017, 1, https://www.nytimes.com/interactive/projects/guantanamo/detainees/10018-abd-al-aziz-ali/. Ali Abdul Aziz AliNational Commission on Terrorist Attacks upon the United States, Thomas H. Kean, and Lee Hamilton. 2004. The 9/11 Commission report: final report of the National Commission on Terrorist Attacks upon the United States. (Washington, D.C.): 434, http://govinfo.library.unt.edu/911/report/911Report.pdf. Ali Abd al-Aziz Ali“The Guantanamo Docket: Abd al Aziz Ali: JFT – GTMO Assessment,” New York Times, accessed August 10, 2017, 1, https://www.nytimes.com/interactive/projects/guantanamo/detainees/10018-abd-al-aziz-ali/. Amanullah“The Guantanamo Docket: Abd al Aziz Ali: JFT – GTMO Assessment,” New York Times, accessed August 10, 2017, 1, https://www.nytimes.com/interactive/projects/guantanamo/detainees/10018-abd-al-aziz-ali/. Habib“The Guantanamo Docket: Abd al Aziz Ali: JFT – GTMO Assessment,” New York Times, accessed August 10, 2017, 1, https://www.nytimes.com/interactive/projects/guantanamo/detainees/10018-abd-al-aziz-ali/. Jammy“The Guantanamo Docket: Abd al Aziz Ali: JFT – GTMO Assessment,” New York Times, accessed August 10, 2017, 1, https://www.nytimes.com/interactive/projects/guantanamo/detainees/10018-abd-al-aziz-ali/. Mohammad Ali“The Guantanamo Docket: Abd al Aziz Ali: JFT – GTMO Assessment,” New York Times, accessed August 10, 2017, 1, https://www.nytimes.com/interactive/projects/guantanamo/detainees/10013-ramzi-bin-al-shibh. Mustafa al-Baluchi“The Guantanamo Docket: Abd al Aziz Ali: JFT – GTMO Assessment,” New York Times, accessed August 10, 2017, 1, https://www.nytimes.com/interactive/projects/guantanamo/detainees/10018-abd-al-aziz-ali/. Ammar al-Baluchi is a senior member and planner for al-Qaeda currently being held by the United States in Guantanamo Bay, Cuba.